Zlatko Anguelov, born 1946 in Varna, Bulgaria, is a writer, journalist, and translator living in Iowa City, Iowa. 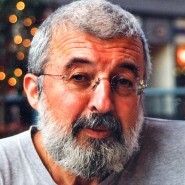 He has published in the Bulgarian print media, The Financial Times and Eastern European Reporter during 1982-1992. His translations (in collaboration with Roumyana Slabakova) of works by John Updike, William Trevor, Paul Theroux, Gore Vidal, Andre Dubus, and Iris Murdoch were published in the 1980s in Savremennik, Panorama, and the Blue and White Bulletin of the Bulgarian Writers Union. In 1991, his Textbook in Biology for the Bulgarian high schools came out by Narodna Prosveta. In 1992, Zlatko moved to Canada, where, three years later, he wrote his memoir Communism and the Remorse of an Innocent Victimizer in English (Texas A&M University Press, 2002). The memoir was also published in Bulgaria as Комунизмът и угризенията на един по неволя виновник (Ango Boy, 2002, translated by D. Banova, postscript by Dimitar Kalev; online at http://www.liternet.bg/publish/katalog/knigi/memoari.htm). A series of four essays on America appeared in Savremennik (4/2007, 2/2008, 1/2009 and 1/2010). Currently, Zlatko is a staff writer with the International Writing Program in Iowa City, IA; he writes biographies of the writers who have studied or taught at the world-famous programs in creative writing at the University of Iowa for a website called Iowa Writing University. These profiles are also featured in the iApp Iowa City, UNESCO City of Literature.